On Tuesday, June 2, 2015, Councilmember McDuffie introduced a bill that will remove hurdles in obtaining employment for chronically-unemployed District of Columbia residents. The “Fair Credit History Screening Act of 2015″ will prohibit an employer from considering a job applicant’s credit history during the hiring process, and will restrict an employer’s inquiry into an applicant’s credit history until after a conditional offer of employment. To learn more about the bill, please visit Councilmember McDuffie's website at www.kenyanmcduffie.com. On June 30, the Judiciary Committee will hold a public hearing on two nomination resolutions and a bill. The first would confirm Gregory Dean as the new Chief of the Fire and Emergency Services Department; the second resolution would confirm Eugene Adams as the new Chief Administrative Law Judge forthe Office of Administrative Hearings. Finally, Bill 21-0071 would revise and update the District of Columbia’s child support guidelines. The hearing will take place in Room 120 of the John A. Wilson Building, 1350 Pennsylvania Avenue, NW, at 1 p.m., or immediately following the Legislative Meeting. Individuals who would like to testify can sign up by emailing Kate Mitchell, Committee Director, at kmitchell@dccouncil.us, or by calling (202) 727-8275. On July 1, the Judiciary Committee will hold a joint hearing with the Committee of the Whole and the Committee on Education on Bill 21-0066, the “Language Access for Education Amendment Act of 2015”. The bill would expand the Language Access Act by requiring the District government to provide training for staff, teachers, and counselors; have at least one English as a Second Language certified member on staff at a school if the percentage of English language learners is ten percent or higher; require that covered agencies designate an employee whose primary role is language access coordinator; and provide relief for violations. The hearing will take place in Room 412 of the John A. Wilson Building, 1350 Pennsylvania Avenue, NW, at 11 a.m. Individuals who would like to testify can sign up by emailing Kate Mitchell, Committee Director, at kmitchell@dccouncil.us, or by calling (202) 727-8275. MentalFloss.com named the DC Department of Parks and Recreation’s (DPR) Harry S. Thomas Sr. playground as one of the 16 Coolest Playgrounds in the World. The unique playspace was named number 6 out of 16, cited for its use of math in the execution of its design. Mayor Muriel Bowser kicked off the Families, Recreation, Education/Employment, Safety and Health (FRESH) Summer initiative. The initiative provides city-wide summer programming from June through August to ensure D.C. residents of all ages have a safe, productive, and rewarding summer. As part of F.R.E.S.H. Summer, the District is offering nine new camp offerings including coding, engineering, ballet and tai kwon do. "Bonu$ to Phone Us: Off Road” is MPD's new program that offers DC residents the ability to call 911 when they know the location of an illegal ATV or dirt bike in Washington, DC. If the information results in the conﬁscation of an illegal dirt bike or ATV, the caller will be authorized to receive a $250 reward. In addition, callers can also call in information directly to the CIC and will receive a reward if it leads to a conﬁscation. On Thursday, June 4, Councilmember McDuffie, Congresswoman Norton and Chairman Mendelson joined Israel Baptist Church's congregation for the grand opening of The Rev. Dr. Morris L. Shearin, Sr. Community Life Center. The Community Life Center will house Unity's Brentwood Health Center, which will offer comprehensive, full-service health care, including adult, family and pediatric medicine, dentistry, OB/GYN, podiatry, and other specialty services. The Brentwood Health Center will serve patients daily, regardless of their ability to pay. 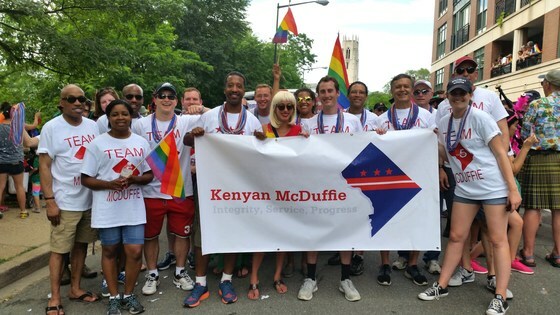 To see more photos, please visit Kenyan's Facebook Page at https://www.facebook.com/KenyanRMcDuffie. On Friday, June 5, Councilmember McDuffie, Mayor Bowser, Chairman Mendelson, Councilmember Bonds, and Councilmember Todd unveiled "Sonia Gutierrez Way" in Ward 5's Eckington neighborhood. The renaming of the 500 Block of V Street NE, which was done via legislation authored by Councilmember Bonds and co-introduced by Councilmember McDuffie, pays tribute to the contributions that Ms. Gutierrez has made to the Carlos Rosario International Public Charter School and the District of Columbia for the past forty years. Planet Fitness opens in Ivy City! 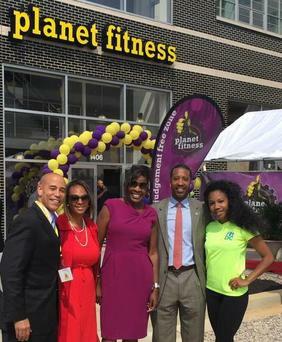 On Monday, June 8, Councilmember McDuffie joined Mayor Bowser at Planet Fitness to open its 1000th store nationwide, and first in the District of Columbia. A New York Avenue Clean Team, which will provide the neighborhood with supplemental cleaning and address city service requests. 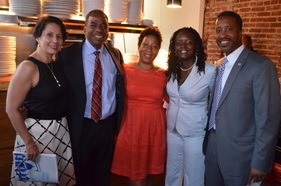 On Tuesday, June 9, Councilmember McDuffie joined Councilmember Orange, Department of Small and Local Business Development Director Ana Harvey, residents, and board members of the North Capitol Main Street for its Annual Meeting. 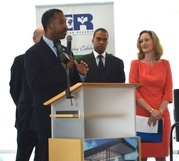 Councilmember McDuffie championed reviving and funding the North Capitol Main Street, which stimulates neighborhood-oriented economic development along the commercial corridor. 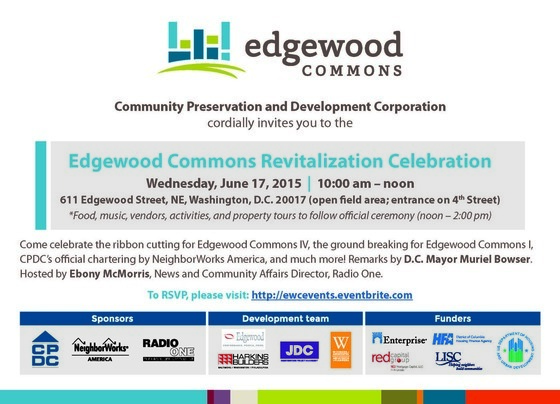 The Deputy Mayor for Planning and Economic Development invites you to share your thoughts about how Parcel 42 located on the east side of 7th Street NW and Rhode Island Avenue, will be redeveloped. 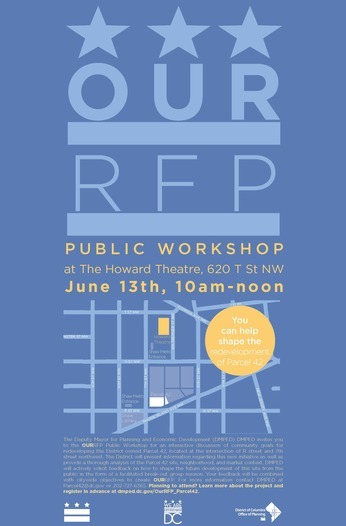 The Our RFP Workshop will be held at Howard Theater located at 620 T St NW on Saturday, June 13, from 10am-12pm. To RSVP for DMPED's Our RFP Public Workshop, please enter your information HERE.